This blog is mostly about food. 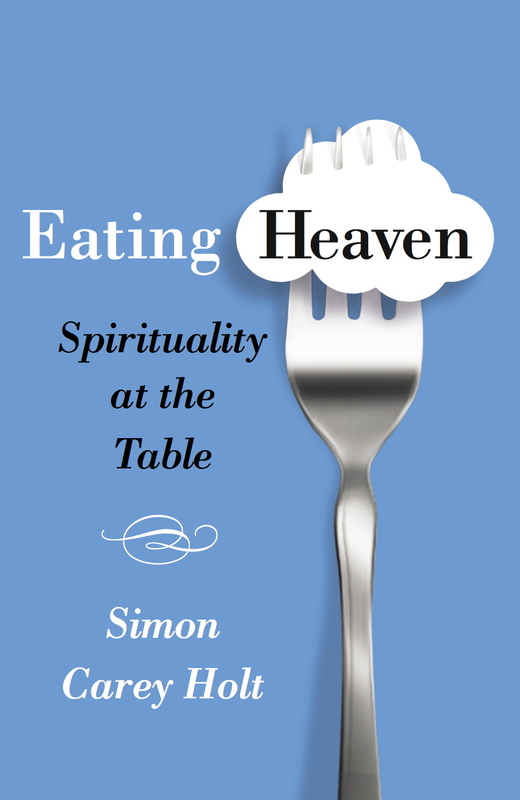 As the subtitle says, it’s about ‘the food we eat and the tables we share.’ It’s recipes, reflections and quotes, suggestions for reading and good places to eat. Underneath it all is a deep sense that the business of eating is about far more than good taste. I am a religious person. Not just in some cultural, nominal sense. It runs deep. The older I get the more I understand my faith as part of who I am. It’s more identity than belief. It’s not so much a creed — a set of propositions or doctrines — as it is a way of living. Personally, I’ve found in the story of Jesus the inspiration to live differently. It’s about life as a table — a table full of good food and company; a shared place of grace, community, forgiveness and belonging. 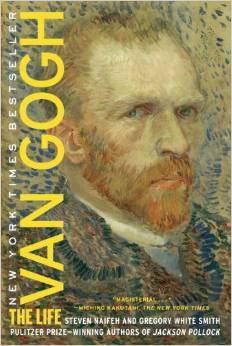 Inspirations in this are many. One of those is Sara Miles, a North American writer and activist whose understanding of faith is refreshingly grounded in the most tangible ways. For Miles, if faith is not connected at the most human levels — the levels of food and the daily justice of sharing tables — then it’s really not one worth having. This is my belief: that the heart of Christianity is a power that continues to speak to and transform us. As I found to my surprise and alarm, it could speak even to me: not in the sappy Jesus-and-cookies tone of mild-mannered liberal Christianity, or the blustering, blaming hellfire of the religious right. What I heard, and continue to hear, is a voice that can crack religious and political convictions open, that advocates for the least qualified, least official, least likely; that upsets the established order and makes a joke of certainty. It proclaims against reason that the hungry will be fed, that those cast down will be raised up, and that all things, including my own failures, are being made new. It offers food without exception to the worthy and unworthy, the screwed-up and pious, and then commands everyone to do the same. It doesn’t promise to solve or erase suffering but to transform it, pledging that by loving one another, even through pain, we will find more life. And it insists that by opening ourselves to strangers, the despised or frightening or unintelligible other, we will see more and more and more of the holy, since, without exception, all people are one body: God’s. 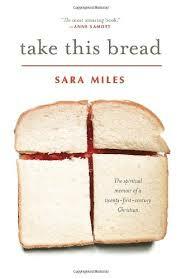 Sara Miles, Take this Bread: A Radical Conversion, New York: Ballantine Books, 2007. 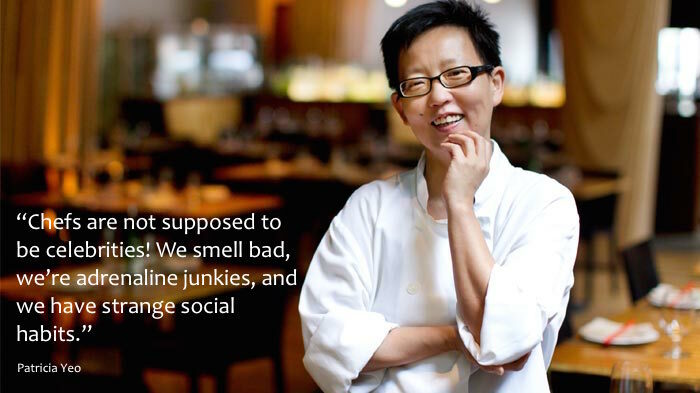 Acclaimed chef Patricia Yeo is a native of Eugene, Oregon with a doctorate in biochemistry. She is currently the chef of Om Restaurant & Lounge in Cambridge, Massachusetts. Sometimes words are as beautiful, as sacred, as those things they describe. following trolley tracks to the bakery. with the aromatic warmth of the work. Then, the suit and drive, again. Richard Levine, A Tide of a Hundred Mountains, Bright Hill Press, 2012. 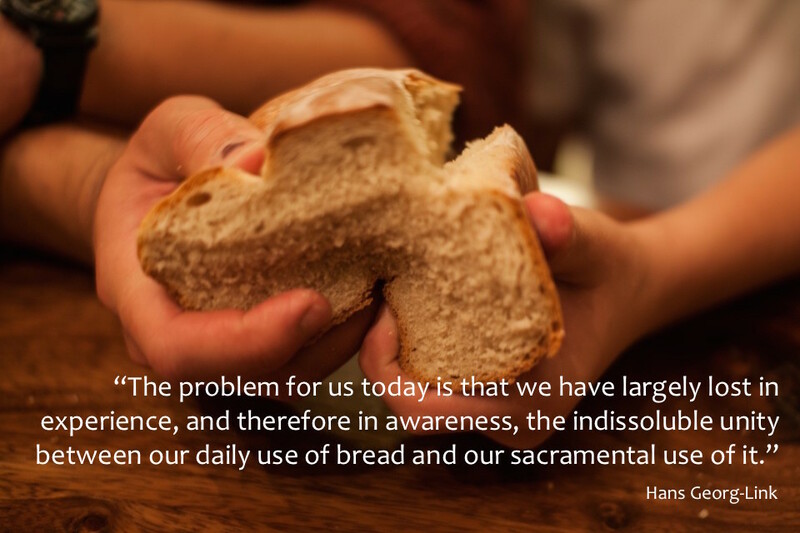 Hans Georg-Link, ‘The Bread of Life: Comments on a Fundamental Biblical Experience,’ in Ecumenical Review 34 (1982), 249-257. So it’s my last day of leave, my daughter departs for India tomorrow, and apricots are in season. These factors converging, tonight’s dinner was one of lamentation, celebration and some serious apricot consumption. My choice for an apricot dessert was further inspired by two factors. First, a week ago we headed up a friend’s farm in Nagambie and picked the most gorgeously delicious apricots straight off the tree. In contrast to the mealy things commonly available in supermarkets, these were a reminder of just how close to divine fresh stonefruit can be. Secondly, I salivated over a recent episode of the SBS series Made in Italy with the ever-so-slightly attractive Silvia Colloco. 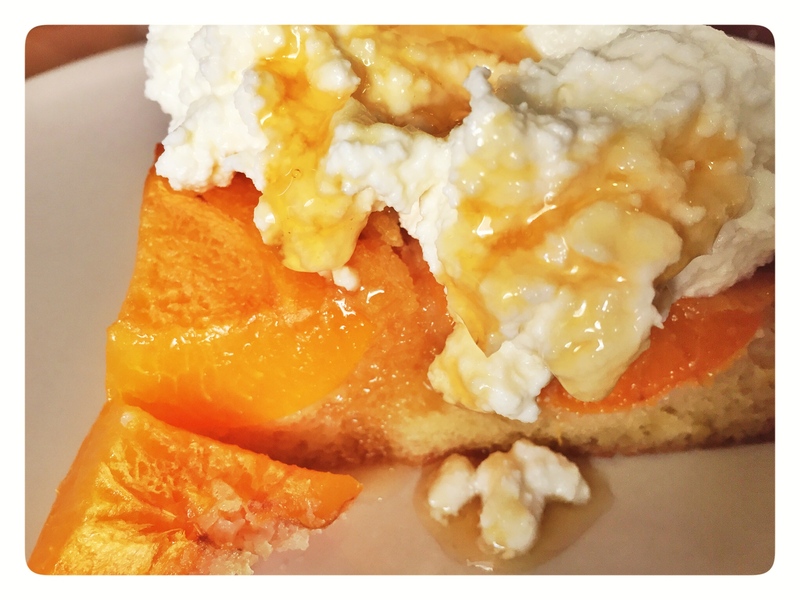 She made an apricot and olive oil cake. Actually she called it a torta all’olio e albicocche, though if I tried to say that you’d be laughing too hard to read on. So I won’t. Oh, and just so things are clear, I salivated over the cake, not Silvia. So tonight we feasted on home made pizzas (which weren’t half bad!) and still-warm-from-the-oven torta all’olio e albicocche doused with fresh ricotta cheese and drizzled with honey. At least my lamentations had a sweet ending. You can find the recipe here. No need for me to restate it. Oh, and don’t leave out the Sambuca. Your beloveds may not appreciate the smell of it straight from the bottle, but in the cake it adds a bite too good to do without. Really, you should do this. It’s sinfully easy, and it’s good. My beloved has a thing for pomegranates. Truly. So much so, I reckon if it was me or the fruit I might be out in the cold. Granted, a ripe pomegranate, prized open, is a thing of remarkable beauty. The Ancient Egyptians considered it a symbol of prosperity and the Hebrews had a thing for it in love poetry. While I’m not convinced about the poetry, I do know that keeping my beloved well fed is a proven lure to entice her home each day. With that in mind, I devised a salad of pomegranate deliciousness. Ok, so maybe I’m not the first off this particular fruit salad block, but it sure is good – light, low in calories and just the right blend of a herby, nutty, sweet and sour. First, de-seed your pomegranate. Oh, and if you’ve not done pomegranates before, it’s the sweet ruby seeds you want, not the pithy shell. If you don’t know how to do it, you can watch this. Second, cook the quinoa according to the directions on the pack. If your quinoa is packetless, simply add to it to about 4½ cups of water and simmer away for fifteen minutes or so. The water will be absorbed and the end result you can fluff with a fork. Once it’s cooked, spread it out on a flat surface and let it steam dry. 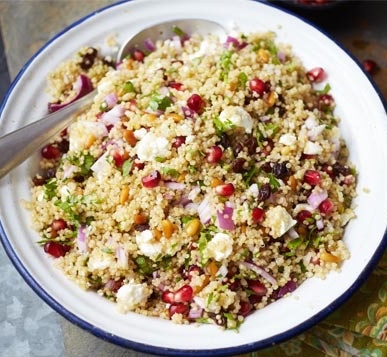 In the meantime, combine all remaining ingredients along with the pomegranate seeds and let it ‘infuse’ for ten minutes or so. Then simply add the potion to the quinoa and mix it together. Love me, love my pomegranate salad.